Many of the Coca-Cola signs were done in this similar style. They are all worth slightly different prices depending on what their text says. 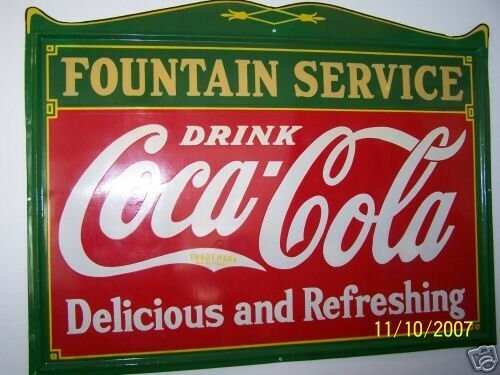 The text on this sign reads “Fountain Service, Drink Coca-Cola, Delicious and Refreshing.” The sign is red and green.